KEEBLE PETER JAMES On March 27th, 2019, aged 74 years, suddenly but peacefully at The Norfolk and Norwich University Hospital. Beloved husband of Barbara, devoted dad of Andrew and Suzannah, dear father-in-law of Kim, loving grandpa of Jack and Sophie. Now at peace. 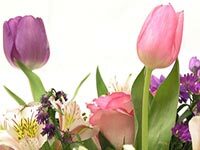 The funeral service will take place at St Faith's Crematorium, on Tuesday, April 23rd at 1.15 p.m. Family flowers only please but donations in lieu made payable to Alzheimer's Society or Dementia Research UK may be sent c/o Gordon Barber Funeral Home, 317 Aylsham Road, Norwich, NR3 2AB.